MuzikMan's Reviews And News: Flash Vocal Legend Colin Carter To Release Debut Solo Album "ONE"
Flash Vocal Legend Colin Carter To Release Debut Solo Album "ONE"
Best known as the lead vocalist for Prog icons Flash featuring guitar legend Peter Banks, Colin Carter is releasing his debut solo album titled “ONE”; A diverse collection of light and dark electric rock, with a little funk, some nightclub swing, an angular Dylanesque shuffle, a 30's Berlin cabaret song, a grand dramatic rock ballad, a Lennon-like lullaby and some flat out driving rock and more. “Without the noise and distractions of the city, I've been able to focus on the songwriting and recording process here. I do a lot of my writing on multitrack recorders, building layers of overdubs, trying to sculpt the sounds and ideas I have in my head. I never planned to make this CD, I just kept writing and recording my song demos. Eventually, however, I decided it was time to share them with the world. “I usually begin with a simple guitar and vocal phrase, and throw it down quickly on the recorder while it still has the idea and concept that I am imagining. Then I walk away and come back in a day or so to see if it still holds up. If it does, I then begin to add parts to build and strengthen the idea. Later, I take the guitar/drum machine demo track and add live drums and bass, a that really moves the song into a whole new realm. It breathes life into it. That then gives me fresh ideas and inspiration to do more with the song and track. “I've worked on this CD project with musicians from the UK, New York and Oregon, old friends and new. Their names are on the package. Many of influences that I've picked up along the way, like blues, rock, soul, folk and more, including some later somewhat atypical ideas, can be found sneaking their way into my songs and lyrics and arrangements. I am the sum of my experiences. I am to blame! Two of Colin's long time friends play most of the bass and drums on these tracks. Drummer Mike Hough, who's played in Flash and various lineups since, that featured musicians from Yes, Foreigner, Savoy Brown Blues Band, Johnny Winter etc., and bass guitarist Clint Bahr, who's played and recorded with musicians from The Rolling Stones, King Crimson, Jethro Tull and many more. Joining Colin on several tracks are new musician friends from the Oregon Coast. Doro Reeves on keyboards, Tom Beckstrom on drums, and Michael Cardell on hand drums. Colin Carter and former Yes guitarist Peter Banks formed the British progressive rock band Flash, with bassist Ray Bennett, and drummer Mike Hough. The band released three albums, “Flash”, “ Flash In the Can” and “Out of Our Hands”. Flash was signed to Sovereign/EMI in the UK and Capitol Records in the USA. Their self-titled debut album “Flash”, sold in excess of 100,000 copies. Flash toured multiple times across North America, Continental Europe, Australia, and their native UK, before disbanding. Colin Carter and Ray Bennett reformed Flash in 2010, with Bennett on guitar, Wayne Carver (bass, vocals), Mark Pardy (drums), and Rick Daugherty (keyboards). They made their official reunion debut headlining the International ProgDay Festival in Chapel Hill, North Carolina in 2010. Peter Banks' passing in March 2013 occurred just as he was finishing up production of a live Flash album featuring Colin Carter and the original line up - “Flash In Public”, released on AdequateSounds. Also in 2013, Colin Carter and Ray Bennett were completing the album “Flash Featuring Ray Bennett & Colin Carter”, released on Cleopatra Records. 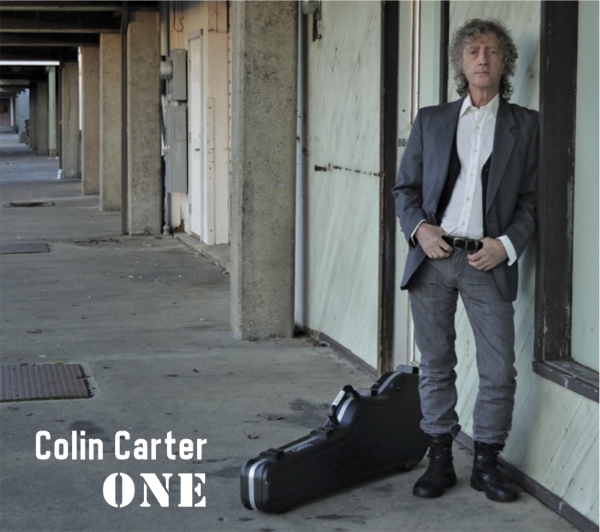 Now, much to the excitement of mainstream rock fans and prog aficionados worldwide, Colin Carter is releasing his debut solo album “ONE”!